'Exterminate!' They muttered about their sacred hatred, the On-Coming Storm. Their creator had a plan to make the Daleks great again. A plan to turn all their defeats into victories. A plan to remove the one variable that has always interfered with the master plan. The Doctor must be erased from time itself! 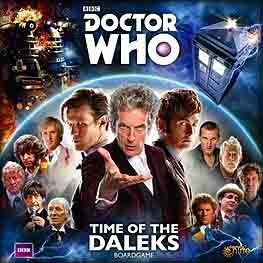 In Doctor Who: Time of the Daleks each player gets to play a different Doctor.